Use the instructions posted in the below section as a reference guide when filling out the online 99 Cents Only Stores job application. There is currently no printable (official) application available. The online version is the only official form available (as of 2017). The guide posted below details the various steps of the online hiring process. 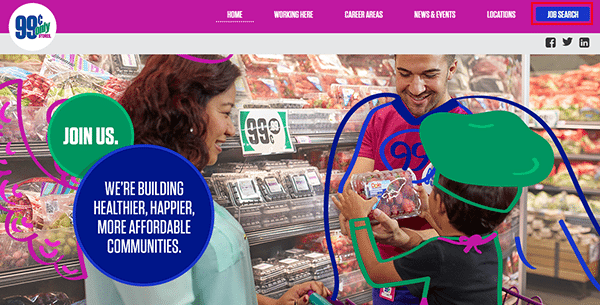 About the Company: 99 Cents Only Stores is an American chain of discount stores based out of Commerce, California. The company was formed in 1969 and currently operates over 390 locations. Step 1 – Press this link to open the company’s careers page in a separate browser tab/window. Step 2 – Click the “Job Search” button in the upper-right corner of the page to load the main search page. 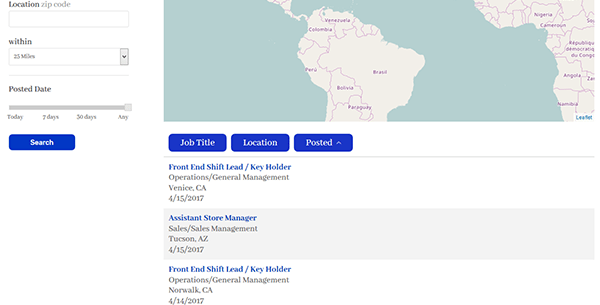 Step 3 – Search the list of current openings by entering a keyword, location, or job category into the search form. Press the “Search” button to load the results. 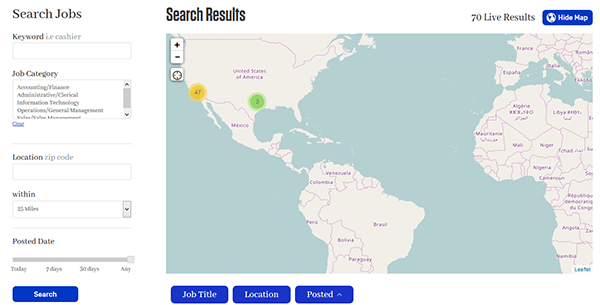 Note: You can also use the map to search for current openings by location. Step 4 – Click the job title if the position you want to start the online application process for. Step 5 – Read the job’s overview, responsibilities, skills, and qualifications. Press the button as outlined below to load the next step of the process. Step 6 – Click the “Apply Now” button to start. Step 7 – Upload Your Resume – Use this section to upload your resume. If you don’t have a resume to upload fill in your email address and then click the “Begin” button. Do you live outside the United States? Step 9 – Press the “Continue” button to move to the next section. Continue to provide the required details for each section/step of the application.